We implement a strict inspection of all our cashews prior to shipment. Reports include taste, appearance and moisture. Each shipment comes accompanied by our PRS stamp meaning the quality of the product has been approved according to the strictest of tests. 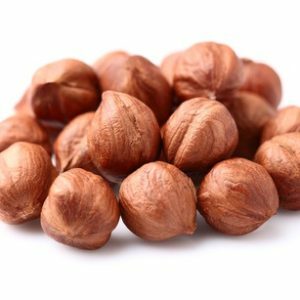 With a history dating back to the mid 16th Century, these nuts have maintained their status as a hugely popular and highly cultivated commodity for over 450 years. With origins in the Brazilian tropics, the Portuguese Empire brought with them quantities of the nut on their eastward colonisation of Africa, India and Southeast Asia. These locations are still very much relevant today as locations such as Vietnam, Nigeria, the Ivory Coast and India experience the highest volumes of cashew cultivation across the globe. The scientific term anacardium, literally meaning ‘above the heart’, provides an insight into the unique location and position of the nut during its growing process. It grows beneath the fruit within a hard shell that provides protection for the fragile kernel up until its extraction. Within this shell, the cashew kernel is coated in a corrosive, potent substance known as anacardic acid. This solution is an irritant, and harmful to touch, and thus explains why removing the shell is imperative before selling to consumers. Perhaps the main reason for the cashew’s high cultivation rate and demand across the globe is the variety of health benefits that are associated with its consumption, in other words, these nuts are a nutritional powerhouse. 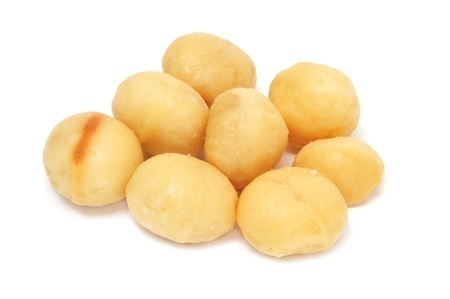 Providing a good source of protein, soluble dietary fibre and heart-friendly monounsaturated fatty acids, these nuts possess an excellent macronutrient profile. 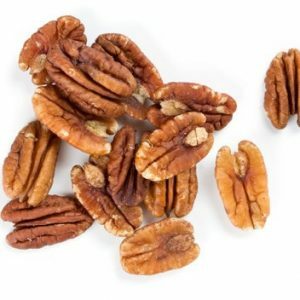 Furthermore, these nuts provide an abundance of essential nutrients, vitamins and minerals, contributing to a healthy immune system as well as heart and blood health. Aside from their nutritional profile, their popularity also stems from their use as a simple snack, ingredient and as a central component of many culinary dishes. From increasingly popular cashew nut butters, to their inclusion in a variety of ethnic cuisines, or simply enjoyed in their roasted form, these nuts are a perfect example of taste and versatility. As previously mentioned in the item description, the most obvious and harmful risk associated with cashews is the anacardic acid that surrounds the nut in its raw form. If handled, the oil, which has a characteristic similar to that of poison ivy can cause an unpleasant irritation on the skin due to its corrosiveness. The roasting process is crucial for removing this substance and thus making them safe to be handled, sold and consumed. 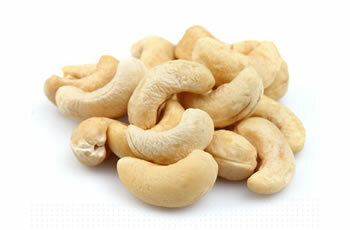 Cashews can be highly susceptible to mould and spoilage if they are exposed to high moisture and humidity levels. Although native to tropical, humid climates, these nuts require a particular level of humidity and moisture exposure. Cashews transported in sacks, are at high risk to moisture penetration and therefore mould formation due to ‘ship sweat’. Therefore, appropriate ventilation is required to combat excessive humidity during storage and transportation. Humidity levels of around 70% and moisture levels between 8.9 and 9.2% are deemed the maximum safe levels for cashews to grow. Above these levels, mould, discolouring and rancidity are highly likely. After processing, we utilise a PRS (Positive Release System) to determine the moisture value of the nuts before shipment and make sure they are within the parameters of 3-5%. Furthermore, this PRS provides us with exact percentage values of defects, damages and spoilage of the nuts. All nuts, including cashews can be at risk of a chemical known as aflatoxin, produced by two types of mould, aspergillus flavus and aspergillus parasiticus. These moulds, which grow in soil, are largely found in areas with humid climates, climates that the cultivation of nuts is heavily prevalent. Luckily, the cashew nut is less exposed to the dangers of aflatoxins due to the protection provided by its shell during the growing process. Governments provide regulations on acceptable levels of aflatoxins in all foods. In the USA, the USFDA (US Food and Drug Agency) permits a maximum level of 20ppb (parts per billion). The European Union is even stricter, permitting a maximum of 4ppb to allow foods to be suitable for human consumption. Even though cashews are less susceptible to aflatoxins, improper post-harvest handling and storage conditions such as high moisture, temperature and insect-related damage can contribute to the fungus that can produce toxins such as aflatoxin. Therefore, care in all aspects of cashew nut cultivation, handling, storage, and transportation is required to help in its prevention. In adherence to AFI (Association of Food Industry) standards, infestation of cashew nut kernels is strictly prohibited. Infestation is regarded as exhibiting evidence of insects or mites alive or dead, as well as signs of insect-related damage. The main insect threats associated with cashews are those from ants, grain weevils and meal moths. To combat the threat of infestations, correct hygiene practices during the processing stages are compulsory. Should infestations occur, the cashew containers will require freezing. Can include stones, dirt, glass, metal, sticks, plastic and paper. These objects are most commonly picked up during the processing stages. To eliminate the risk of contamination by foreign matter, correct control procedures are applied. Correct hygiene standards and clean working conditions contribute to minimising contamination. Furthermore, our Positive Release System is in place to provide a thorough analysis of the cashew containers after processing to make sure they are under the maximum level of 0.01%.